We supply three different air compressors to suit the air pressure and flow demands of the diary plant. The smallest is a single phase, piston type with a 50 litre tank. The next size up is a 5.5 kW three phase, piston type with a 150 litre tank. This includes an auto-drain feature. For high-demand applications we supply a 4 kW three phase hydrovane type with a 150 litre tank. For longer run times with continual loads, these are ideal. The hydrovane type also includes an auto-drain feature. For splitting air so that multiple components can be pressurised, we also supply an air manifold. This is compatible with all three types of compressor. 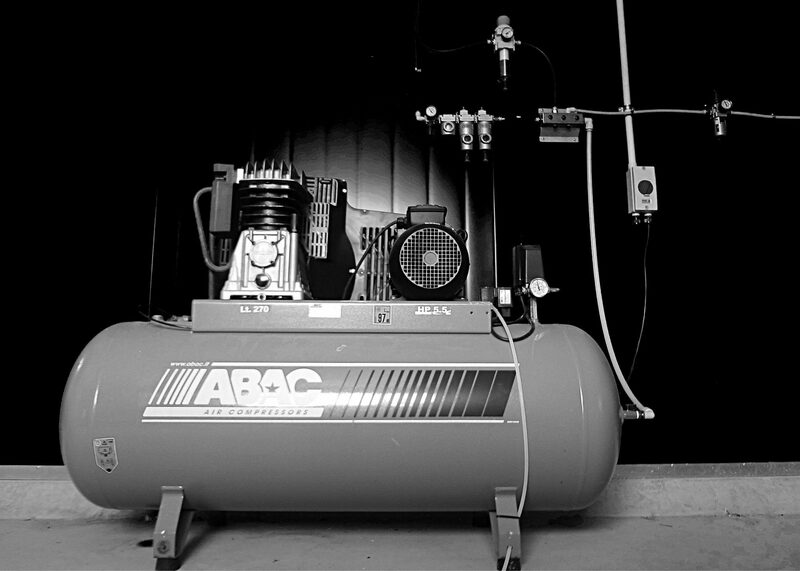 We include servicing of compressors as part of routine system maintenance.